In his book Water From a Deep Well, author Gerald L. Sittser noted the following regarding the word “spirituality”. The word spirituality is a recent addition to the theological lexicon, surfacing only some two hundred years ago. Almost from the beginning it had more heterodox connotation, reflecting what we now understand as the modern fascination with spiritual things outside the boundaries of historic orthodoxy. The Transcendentalists, for example, preferred a word like spirituality over piety and holiness, because it reflected in their minds an open, experimental attitude, one less tied to tradition. Their use of the term set a trend that has continued to this day. 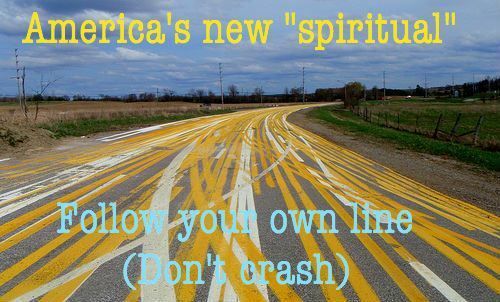 Many Americans now claim to be now claim to be “spiritual” but not “religious”. They like to sample, borrow, and experiment with a wide variety of religious beliefs and practices, as if creating a kind of “designer” religion that fits their unique interests and concerns. More and more in our society, instead of the thing defining me, I define the thing. When the thing in question is, say, marriage, the trend is troubling enough. But have God and the moral law also become my own private creations? When I was sixteen-years of age, I became so upset with my life and with what seemed to me to be God’s failure to watch over me, that I decided I was going to end my life here on earth so that I might have a chat with God and let him know exactly how I felt. Of course, instead of talking to God, I simply put myself into a drug-induced coma for two weeks. When I was forty-six-years of age and once again lost in a self-imposed crisis, I thought back to when I was sixteen and knew that I no longer had the courage to once again attempt to take my own life. So I opted for the prayerful option of talking to God and asked him if he might take me back as did the father in the prodigal son parable. Now mind you, between age sixteen and age forty-six, I became completely caught-up in the whole spiritual, but not religious, routine. I had practiced astrology, numerology, Wicca, crystals, mantras and meditations galore. None of them worked, but I was so mad at God because I was convinced he wanted nothing to do with me. I was “spiritually bankrupt” and had turned to anything and everything except the One who could and would fill that supernatural emptiness within me. 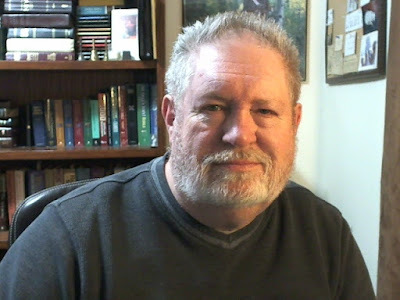 When I finally ceased running from God and instead turned toward God, my thirty year journey in the spiritual wilderness ended. Today I know and understand that God never abandoned me, I had abandoned God. When I finally stopped making demands upon God like a child at Christmas with a wishlist for Santa and accepted God “as-is”, he accepted me “as-is”. Who does one pray to for strength and guidance if one chooses to ignore the God of all creation and instead follow the god of their own creation? When it comes to standards of morality and conscience, who’s standards do we use if we opt to ignore the standards God has set for us? How can we be of one mind, heart and spirit if we all choose to lean upon our own individual understanding of God? Instead of a God that binds us together, we have a pantheon of gods that tear us apart.